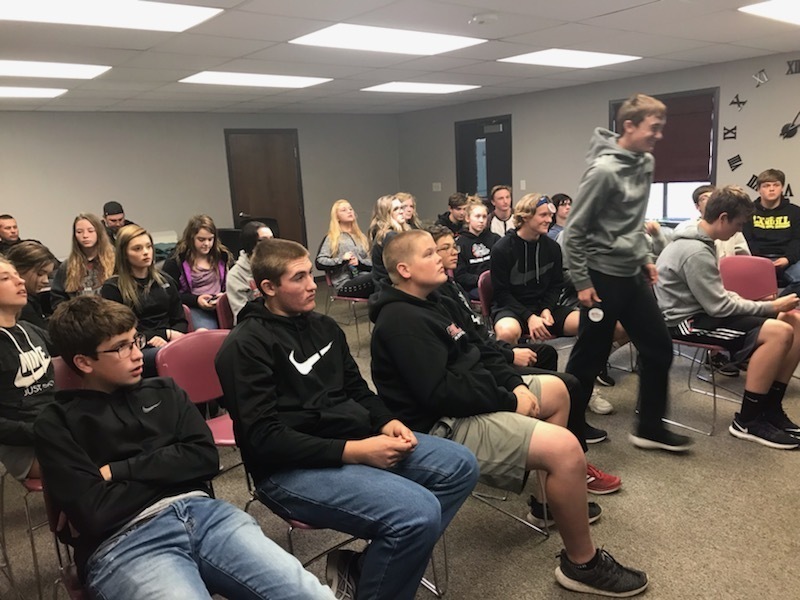 On October 30th students in grades 9 and 10 went to Manhattan, Kansas to visit Kansas State University (KSU) and Manhattan Area Technical College (MATC). 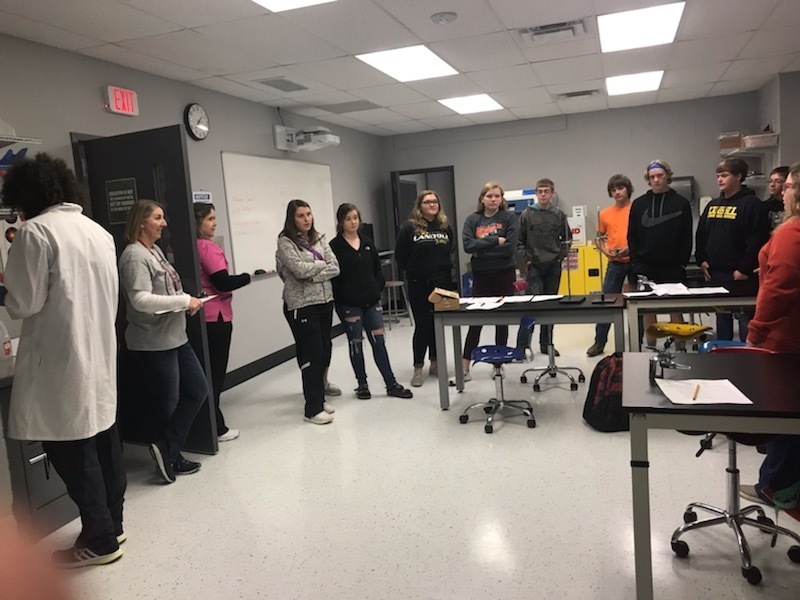 At KSU, MHS teachers guided the tour; but at MATC there was a guided tour as well as activities for the students to participate in each area of study. 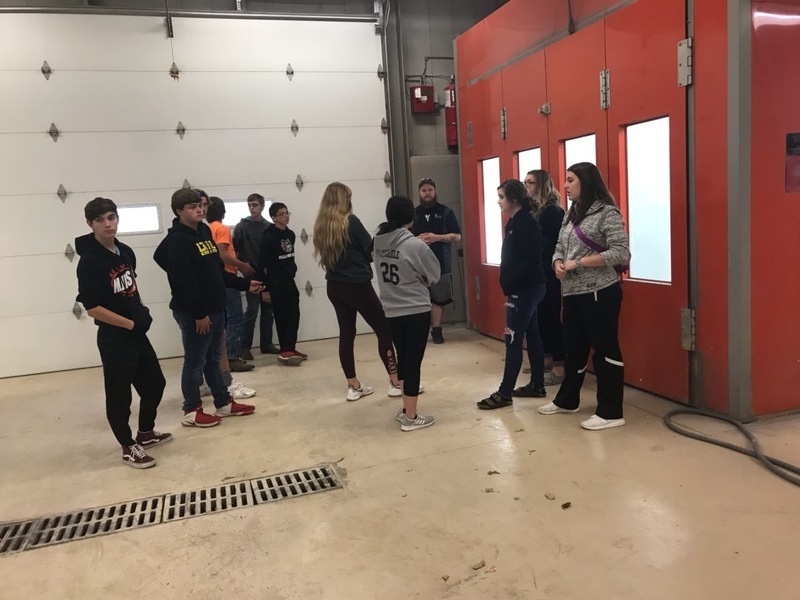 During the presentation students received information on each area of study and possible careers in the areas as well as average starting salaries. The areas are: Air Condition and and Refrigeration, Automotive Collision Repair, Automotive Technology, Business Administration, Biotechnology, Building Trades, Dental Hygiene, Electric Power and Distribution, Information and Network Technology, Medical Laboratory Technology, Nursing, Welding Technology. In each area students have the opportunity to receive technical certifications and/or associate degrees. It was an interesting day for the students. Looking around the automotive collision repair area. 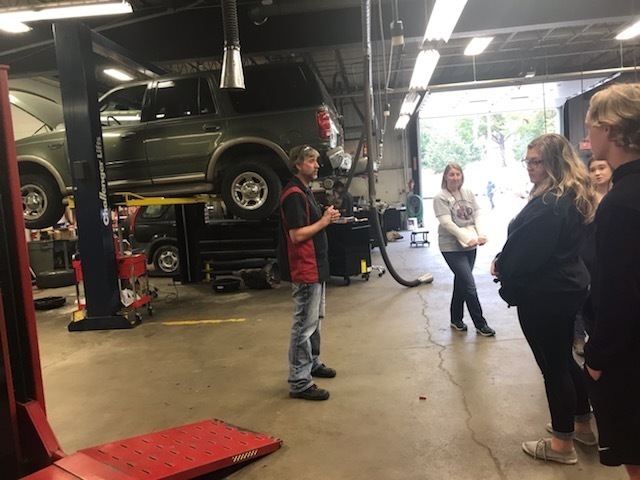 Students listen to an instructor in the Automotive Repair area. 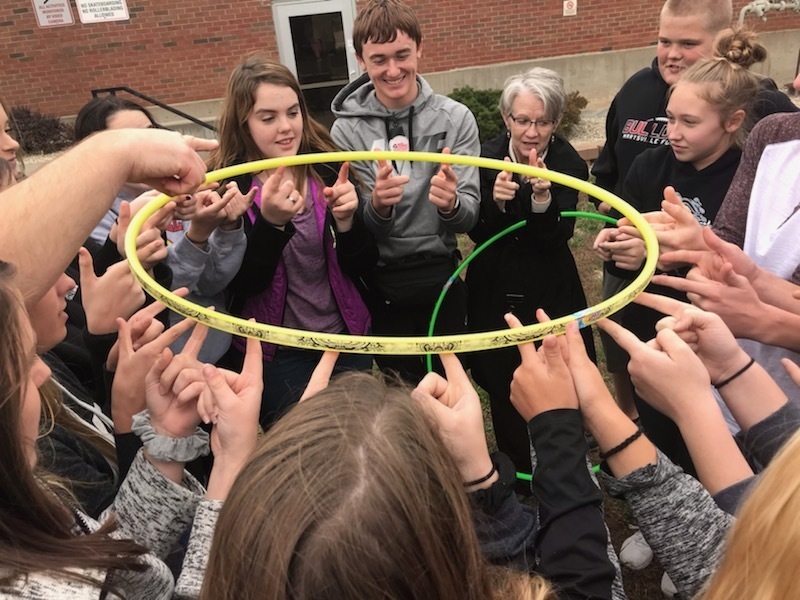 Students participating in a team building activity in the Business Administration area. Students checking out the healthcare/science area. Students listening to a general session presentation and playing a game to win prizes.